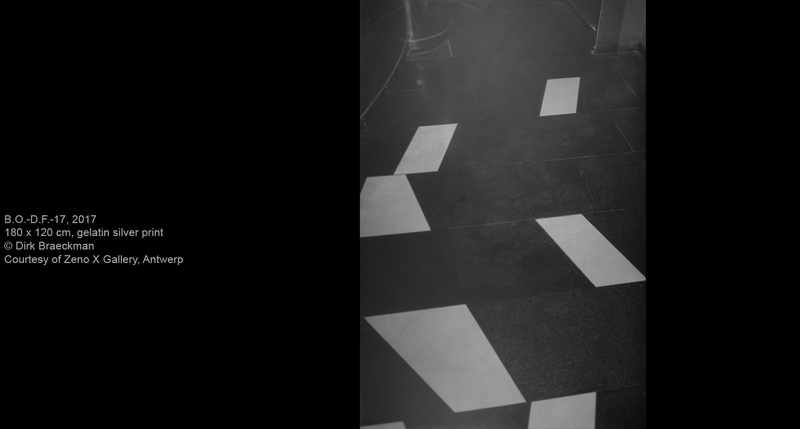 Dirk Braeckman is presenting new works at the Belgian Pavilion, combined with a number of existing ones. His pictures do not pursue themes and are not produced in series, but form a continuum with a gradual evolution. There are subjects here that recur throughout his oeuvre – elements of interiors and landscapes, the body, and the reinterpretation of existing images. For the most part, the artist has opted for the monumental format of 180 x 120 cm for his presentation in the Belgian Pavilion: the size of the images heightens their physical impact and places them in dialogue with one another. “I think the Belgian Pavilion is the most beautiful of all in Venice. If I could choose just one from the whole of the Giardini, this would be it. I always thought it would be ideal for my work: the light, the scale, the architecture” said the artist. 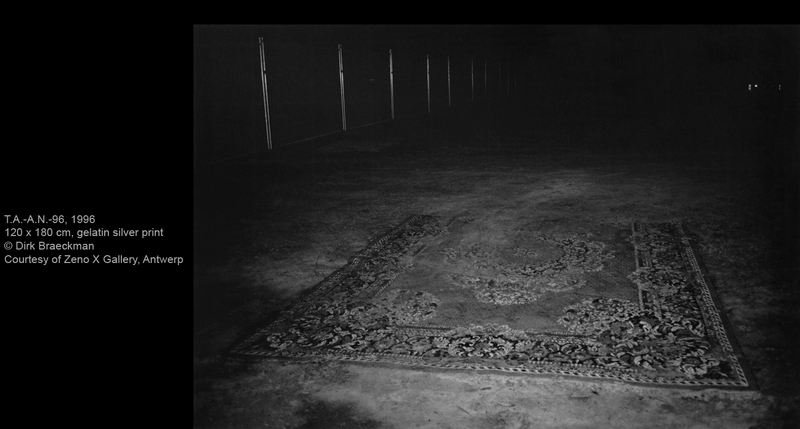 Dirk Braeckman decided to study photography in the late 1970s in preparation for becoming a painter. Ten years later, he achieved his first signature black-and-white analogue prints with suggestive and somewhat enigmatic images. They are recognizable, yet flirt with representation, abstraction and reality of what is shown. He wants to stretch the moment of the photograph, he is interested in a certain tension or experience, free of any anecdote. His quest for powerful and compelling images relates to art history, especially painting. 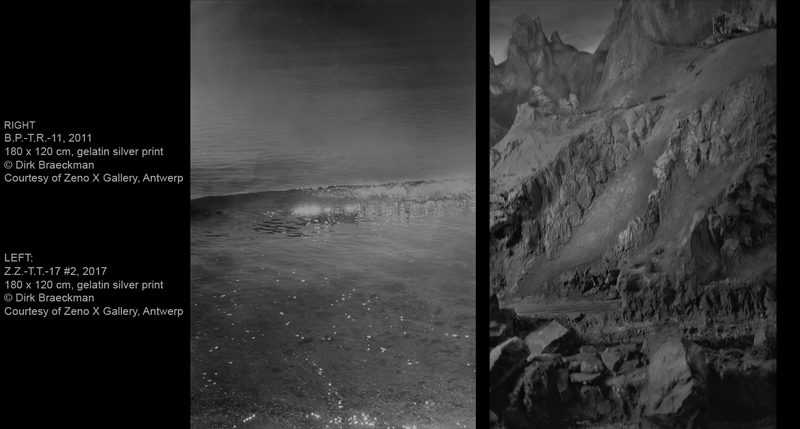 Braeckman’s photographic works in the recently renovated Belgian Pavilion bring a stillness to today’s constant flow of images. Using analogue techniques, he has developed a visual language of his own that focuses the act of viewing and reflects on the status of the image. He explores the boundaries of his medium and challenges photographic conventions. The camera’s flash reflects off the surface of the subject, the texture of walls, curtains, carpets and posters. His images show anonymous subjects from his immediate surroundings, evoking an open story. The artist shows empty rooms in which time seems to stand still, elements of interchangeable interiors or human figures that stand only for presence — all separate from any specific identity, place, time or emotion. 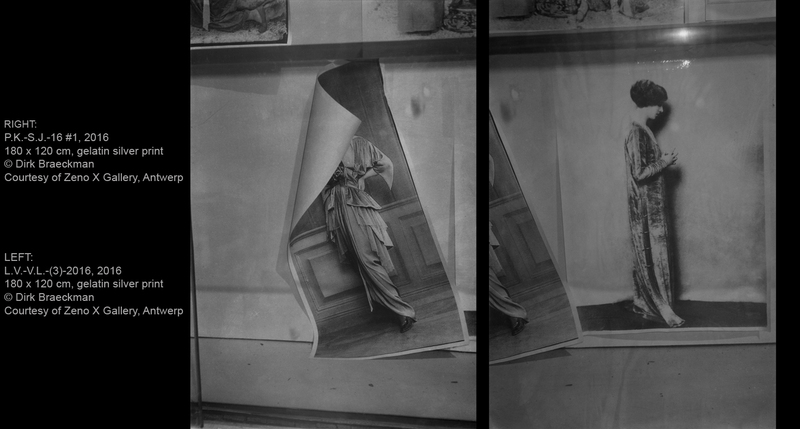 “These are extremely powerful images too: the moment you enter the pavilion, your gaze is pulled towards certain works” explained Eva Wittocx, the curator, “ Some are hung in pairs or form a series, as they are prints from the same negative. Other works hang on their own and have been given the space to tell their own story, without too much influence from the images displayed around them. The photographs are charged with pent-up tension, yet the exhibition conveys a certain tranquility. Dirk Braeckman’s work in Venice will also be shown at a double exhibition in Belgium in early 2018, to be held simultaneously at BOZAR Centre for Fine Arts in Brussels and M –Museum Leuven.